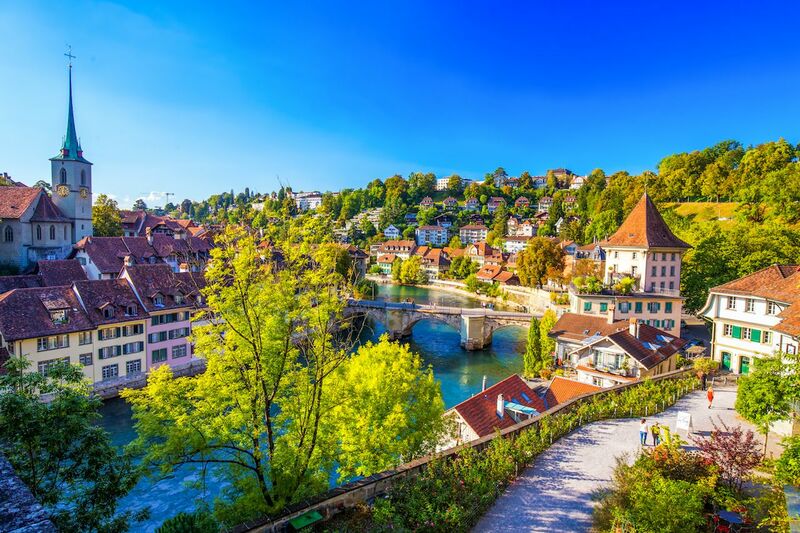 Walking along Bern’s cobblestone streets, between sandstone buildings and under swaths of arcades through the peninsular Altstadt or Old Town, you’re bound to experience the signature Bernese slow lifestyle that Switzerland’s capital is known for. 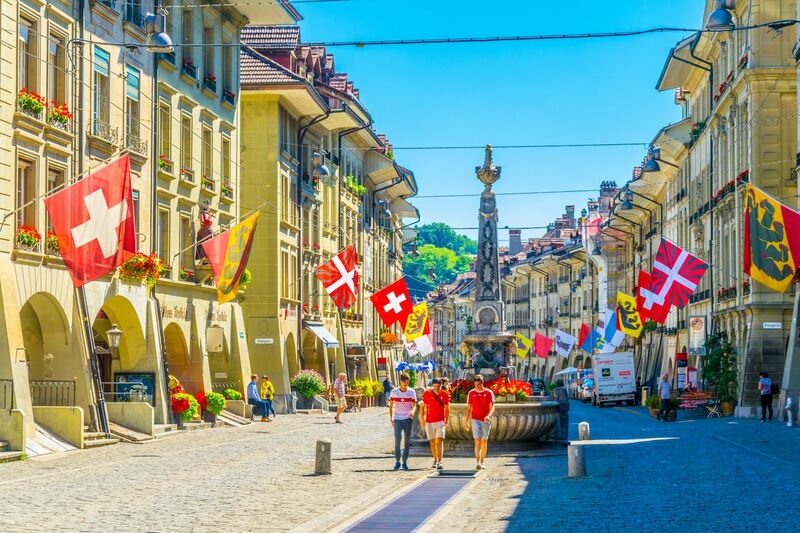 While checklist-minded travelers gather around this quiet town’s famous Zytglogge, the 13th-century clock tower, to watch the hour strike and the figures come to life, there is more to take from Bern than its popular sites — and perhaps enough to take back home with you to the US. Here are five things you’ll realize about life in Bern during your trip, which will probably make you never want to leave. 1. Proper infrastructure makes life much smoother. 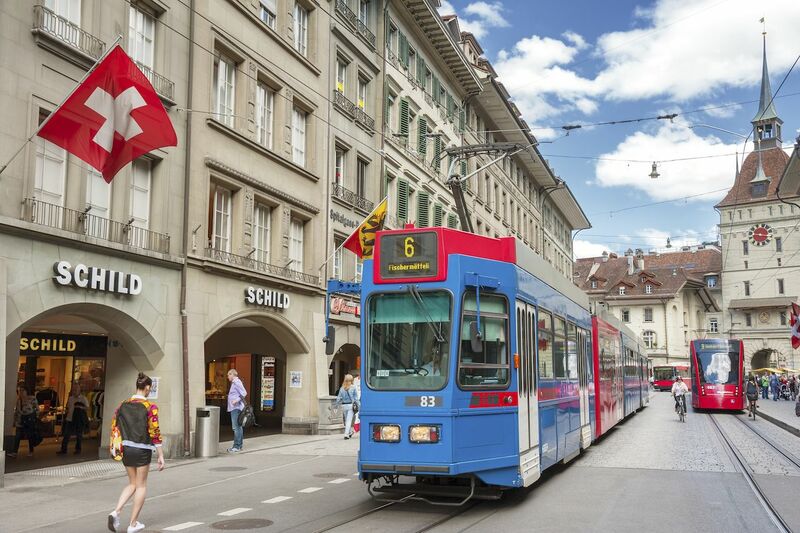 Swiss transportation is extremely developed and among the best in the world. There’s even a museum on Swiss transportation in Lucerne (which you can reach by train from Bern in about an hour and a half). The country’s train system is incredibly efficient with a plethora of options for every kind of traveler, from business to tourist, and the well-maintained roads keep drivers moving quickly too. An integrated experience, the Swiss Travel app just launched in summer 2018 and makes planning travel easy within the city and surrounding area. For an even easier experience, download the SBB Mobile app, which presents full transportation details when a countryside destination needs to be reached by bus after hopping off the train. With the app, locals and visitors to the city and country will never have to second guess at which platform their transfer will arrive. Passengers can also count on those trains to arrive on time. According to The Local, an English-language paper in Switzerland, more than 90 percent of trains operated by SBB arrive on time, the most punctual of any train system in Europe. 2. Use space intelligently to prevent urban sprawl. Akin to the well-oiled machine of public transportation, good urban design is another subtle but powerful attribute of Bern. The city’s clean, organized presentation and layout contribute to the ease in which it and its residents operate. Beyond the functionality of good design and on to the aesthetic, the sandstone buildings of Old Town are as beautiful as they are because they have been immaculately preserved and maintained. This, in turn, ensures their history is remembered. For example, the street signs in Old Town are color-coded and date to Napoleonic times. Bern was conquered in 1798 and occupied by French soldiers who could not read the German names — especially after a visit to the pub. The solution: Color code the troops and the streets, so they could find their way home. Bern is also quite fond of repurposing standing structures for modern use. Today locals and travelers can shop, eat, or even catch a movie in the repurposed wine cellars in the former residential homes of Old Town. By preserving existing architecture and the stories that live within the structures, layers of history and intrigue are added while eliminating fabrication waste and urban sprawl. 3. Eat well. Live healthily. As a university town, Bern is filled with many diverse restaurants, bistros, café-bars, and healthy dining options. An array of cultures and access to local, organic produce; dairy; and meat allows for the freshest meals to be cooked and served. While travelers will certainly find calorie-dense treats and dishes — the Swiss do love their cheese — there are significantly more health-forward options that are readily available in Bern. Sure, there’s a Burger King, but there are many other quick service options like Tibits, which specializes in vegetarian and vegan fare. Having reasonably priced dining options that promote healthy eating in a tasty, easy way means that residents can eat smart and live well without a second thought. 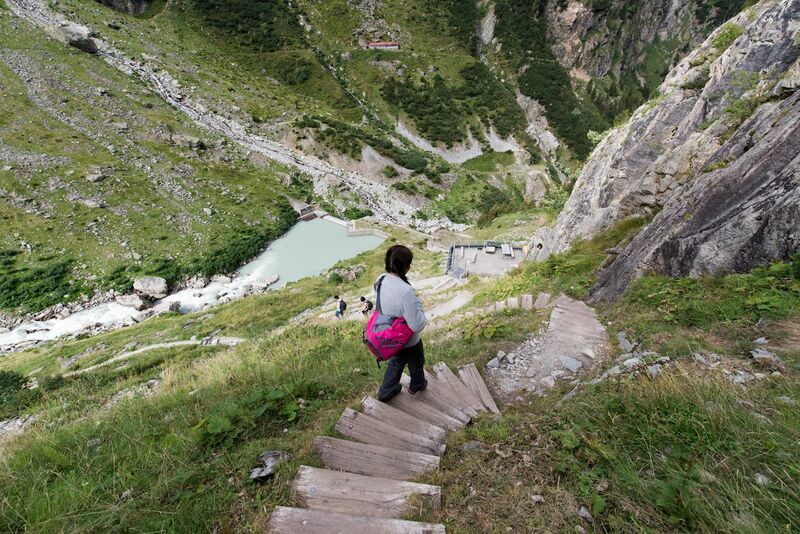 Among the most notable qualities of Bernese living is locals’ insistence on taking time out for themselves each day. Quality alone time is so important, and here, you’ll find it comes in a couple of varieties: health, wellbeing, and wide-open free time. Bern is also very bike-friendly, a popular way to get around as an alternative to taking the train, and the city’s public plazas and walking promenades, known as arcades, ensure walking is always an option even when the weather is foul. You can rent a bike and pedal through town or take a stroll through the arcades on foot. Here, taking care of oneself does not automatically equate to making purchases — it’s all about taking time to get outdoors and enjoy the fresh air. The city is home to clean, beautiful outdoor public pools that anyone is welcome to use for laps when the weather permits. The Aare river, which snakes around and through the city’s outer neighborhoods, features hiking trails along its banks. The Swiss are famous for their relaxed attitude and active lifestyle, and they know that empty free time is essential to avoid burnout. 5. Public education can be superb — when it’s given the right attention. Bern’s public system, like that of Switzerland as a whole, is consistently ranked among the world’s best by major publications including The Telegraph. And the Swiss take full advantage of this — 95 percent of Swiss children attend public schools, enjoying personalized care and support. As 20 percent of the student population is foreign-born, many courses are taught in multiple languages. While you likely won’t be hanging out in Bern’s public schools during a visit, you can still learn a thing or two about the city’s culture and history. 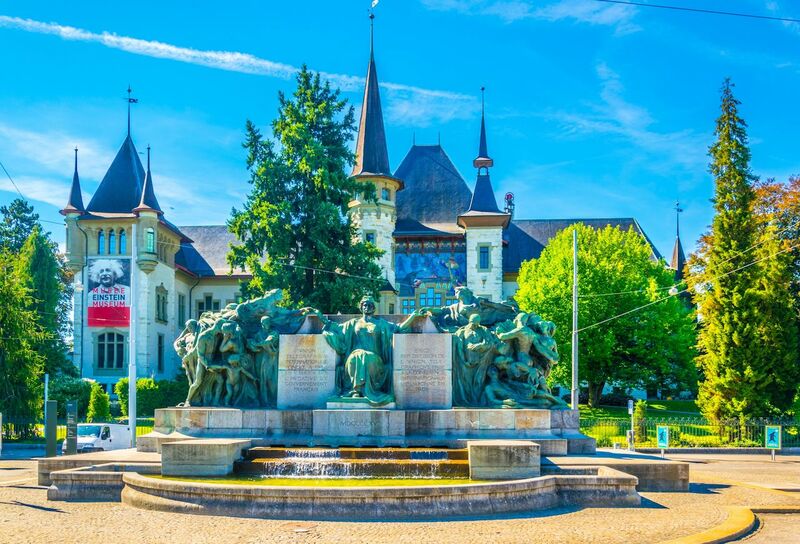 Choose from nearly 20 museums and cultural venues to visit, and learn about everything from art and history to science and Swiss Alpine culture. Don’t miss the Abegg Foundation, Einstein’s House, or the Salvation Army Museum, of which Bern is the headquarters. Albert Einstein, the most notable foreigner to live in Bern, even has an entire museum in his honor.